The Ministry of Tourism & Civil Aviation hosted a series of service quality delivery trainings. The Government of Grenada has made significant progress in implementing the Small Hotels Programme, announced earlier this year. Through the Ministry of Tourism and Civil Aviation and the Grenada Tourism Authority, 3 batches of training have been completed in customer service excellence for frontline staff and supervisory management. The programme is designed to provide skills and techniques to strengthen the service quality delivery in the tourism industry. The first training seminars were held on 23, 26, 28 and 29 November with the first 2 days focusing on customer service excellence for frontline staff while the last 2 days focused on supervisory management. Delivered by AJ Business Solutions at the Connection Conference Room on Kirani James Boulevard, the customer service training focused on a positive service attitude, professionalism, good work ethics, communication skills and how to deliver excellent customer service. During the planning of the programme, supervisory training was identified as an area of focus to ensure that management in small hotels can develop and implement policies and leadership to support quality product and service delivery. Therefore, the modules of the supervisory management training included: leadership, communication skills, employee development and performance management, problem solving, decision-making and time management. Batch 2 training took place in Carriacou at the Health Services Conference Room from 3-6 December. Additionally, on 7 December participants were trained in fire safety. 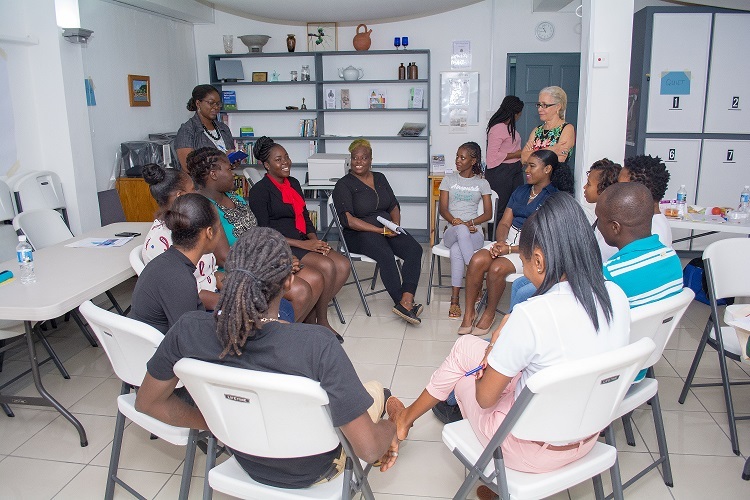 Training for batch three took place in Grenada back at the Connection Conference Room from 11-14 December. All the training sessions were well attended with over 80 personnel representing 22 properties throughout the tri-island state. These training seminars are part of the Government Small Hotels Programme to enhance the visibility and viability of the sector, which also includes promotional support. Under the programme small properties can obtain soft loans for upgrades of their physical plant from a $2 million fund through the Grenada Development Bank. $1 million has also been set aside for training, needs assessment, promotions and product enhancement.